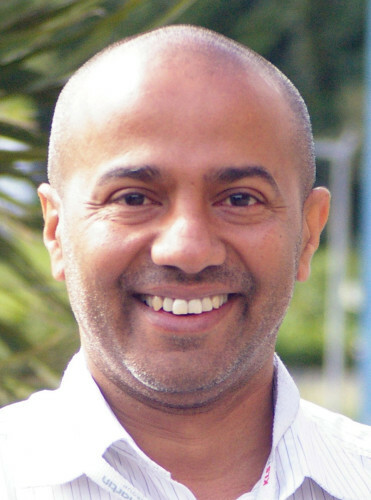 At age 10, Dr Wickremesekera emigrated from Sri Lanka with his parents and two younger brothers, and finished his secondary schooling in Wellington in 1980. He completed an MBChB at the University of Otago in 1986. He became a Fellow of the Royal Australasian College of Surgeons in 1998, specialising in Neurosurgery. He undertook his neurosurgical training in Auckland and Melbourne, and during the last two years of his neurosurgical training he completed a Doctor of Medicine in brain tumour biology and was awarded an MD in 2005 by the University of Melbourne. He then completed post-fellowship training in skull base and paediatric neurosurgery at the Cleveland Clinic Foundation in the USA. Dr Wickremesekera has been a consultant neurosurgeon at the Wellington Regional Hospital since 2000, with special interests in craniofacial surgery, skull base surgery and brain tumours. He has been an invited faculty speaker at the Advanced Skull Base Meetings at the Department of Surgery, University of Adelaide. He has been a Senior Lecturer at the Department of Surgery and Anaesthesia, Wellington School of Medicine, University of Otago and undertakes undergraduate teaching of medical students. He is the supervisor for neurosurgery training at the Wellington Regional Hospital, teaching advanced and non-trainee registrars. He has 19 publications in peer-reviewed journals and a one book chapter. He is investigating brain tumours focussing on cancer stem cells and ErbB receptor protein signalling, with the research team at the GMRI.